In Bridge of Time by Lewis Buzbee, best friends Lee Jones and Joan Lee have a lot more in common besides their names. On the eve of their class trip, they each learn their parents are getting divorced. Ugh. The class trip is a dud, so Lee and Joan steal away to talk. What follows is an afternoon nap in a lighthouse, walking up to find the Golden Gate Bridge gone—gone!—and meeting a young man named Sam Clemens, who is on the run from a mysterious stranger. 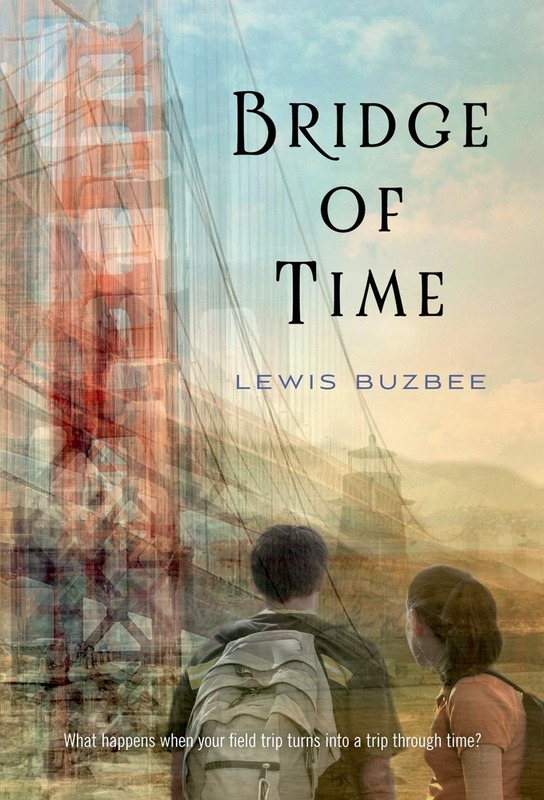 Lewis Buzbee is the acclaimed author of Steinbeck's Ghost and The Haunting of Charles Dickens. He also wrote the acclaimed adult memoir The Yellow-Lighted Bookshop. A former bookseller and sales rep, he lives in San Francisco with his wife and daughter.